Honeymoon Tour by Helicopter Ride is an awesome escape for newly married couple from the hustle and bustle of city life and busy daily schedules. You can have a wonderful time in Nepal with your loved one in the lap of giant Himalayas. If you managed to Travel in autumn or spring season, you will get more chance to explore the immense natural beauties. Experience some thrilling moments with your partner and make your honeymoon special. 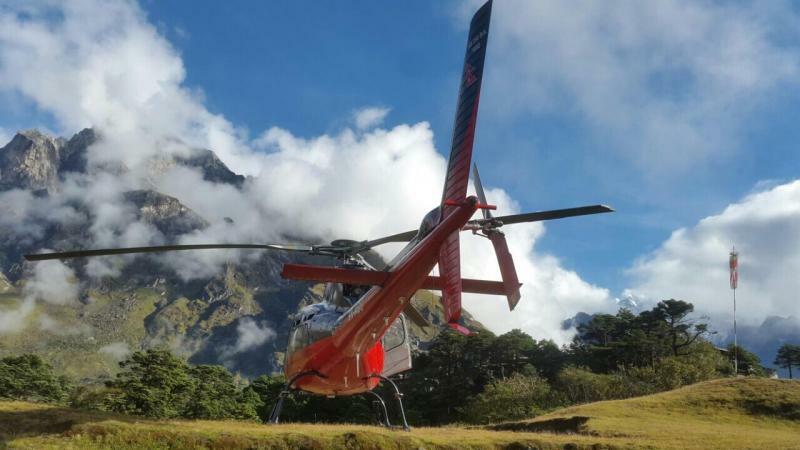 Helicopter Ride in Nepal offers incredible aerial views of giant mountains including the world’s highest peak Mount Everest and other 8 out of 10 highest mountains in Nepal. Additionally, you can also get the tantalizing views of Sunrise and Sunsets over white Himalayas. Many cities of Nepal have well facilitated hotels and lodges offering you privacy and great hospitality. In the main cities like Kathmandu and Pokhara, you can also have desserts and international cuisine. Roaming around the tranquil environment enjoying the supernatural views makes your days fill with love and makes your Honeymoon excellent. You have to be sure, which package you will enjoy. Get some knowledge about the environment and weather condition of the destination you are choosing and only if that trip meets your desire, book the trip. Before going for a Honeymoon tour, check the availability of Hotels. Pack up appropriate gears. Like if you travelling in winter, don’t forget to get the clothes that will keep you warm. If you travelling in higher altitudes, even some autumn or spring days needs warm gears. Welcome to Kathmandu, you will be transferred in best hotel available by our representative. Prepare for the heli ride. We will ride a helicopter from domestic airport of Kathmandu and land on your desired destination. You will get some time to spend precious time together and then we will return back. Or you can spend some days in that place; we will come to pick you up after you contact us. Day 03: We will drop you to Tribhuwan International Airport in our Private vehicle.